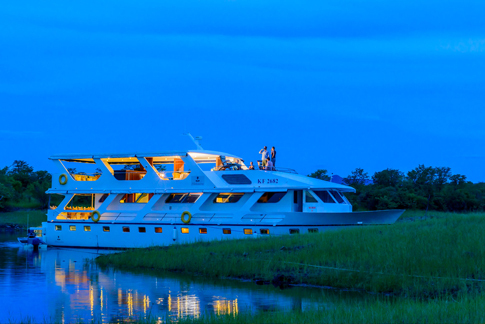 The Matusadona Houseboat is the definition of luxury on Lake Kariba with air-conditioned cabins, catering for up to 6 guests. 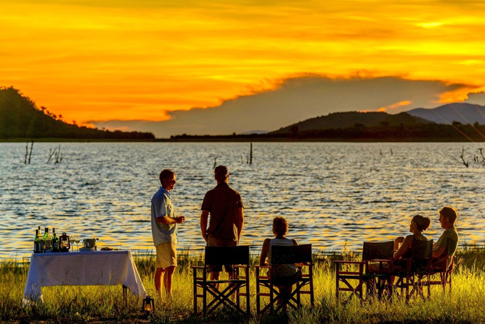 The Matusadona is the perfect getaway for families, a romantic honeymoon or just a simple retreat from "real" life. The Matusadona is 28.6 meters in length with African hardwood finishes and is furnished in rich fabrics, leathers and Egyptian cottons. One can expect to see hippos whilst cruising along Lake Kariba, abundant bird life and other African animals such as elephant.